Dearly beloved we are gathered here in this house of worship to listen to the inspiring words of the good Reverend Dr. Blyss preach on the virtues of high stakes alcohol smuggling. That’s right, this month on 1951 Down Place we take a look at the 1962 film Night Creatures, staring Peter Cushing, Oliver Reed and Michael Ripper. 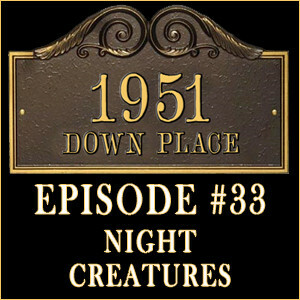 Download 1951 Down Place: Episode #032 here! Disney, Indiana coverage of Dr. Syn, Alias the Scarecrow, featuring Derek and Casey, can be found here.